Shenval Bed&Breakfast is located on the Affric Kintail Way. This waymarked long distance walking and mountain biking trail links Loch Ness to the West Coast via Glen Affric National Nature Reserve. The Affric Kintail Way joins up with the Great Glen Way (Inverness-Fort William) in Drumnadrochit, by the shores of Loch Ness, 7 miles from your accommodation at Shenval organic B&B. 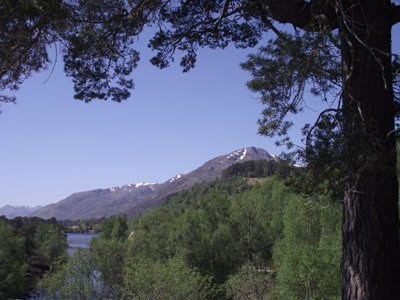 The Affric Kintail Way is fully signposted over its 44-mile (70kms) length and can be walked in 4 or 5 stages, depending on any variants trekkers may wish to include. 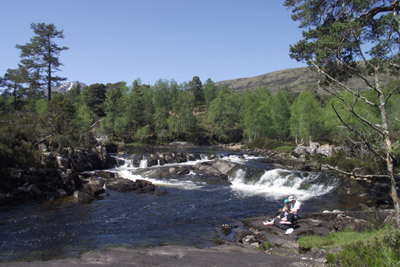 It combines gentle walking on forest tracks through Glenurquhart (where Shenval B&B is situated), Cannich, and eastern Glen Affric, with more challenging mountain footpaths at the western end of Glen Affric. 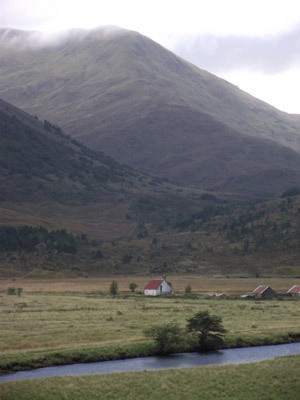 Passing Alltbeithe youth hostel, the most remote in the Highlands of Scotland, and Camban bothy, run by the Mountain Bothy Association, it skirts the lower northern slopes of the Five Sisters of Kintail and terminates on the west coast at Morvich on the shores of Loch Shiel. Linked with the Great Glen Way, it can be extended either north to or from Inverness or south to or from Fort William, to give a truly superb cross-country experience and a magnificent coast to coast trekking holiday. Hiking, backpacking, hillwalking, mountain biking, wildlife watching: the Affric Kintail Way has it all. 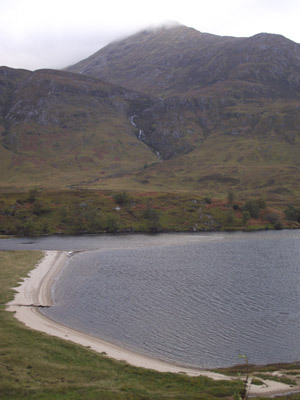 From low-level farmland to mountain passes, the trail skirts prehistoric sites at Craigmonie and Corrimony and goes on through ancient Caledonian pine forest and moorland and along magnificent lochs and tumbling rivers. The more adventurous walkers are likely to take in a few of the Glen Affric and Kintail Munros and Corbetts along the way.